Hannibal-LaGrange University announces Coach Steve Spurrier as keynote speaker for the 76th Annual Booster Banquet. The banquet will be held Thursday, November 16, at 7 pm. Steve Spurrier is well known for his lengthy and successful career in football. He served as the head coach for three college and two professional teams and was also an exceptional college football player before spending nearly a decade playing professionally in the NFL. Tickets for the banquet will be available for purchase on September 1. Prices are as follows. $200 Executive Admission Ticket – Includes reserved parking, admission to a private reception with Steve Spurrier on November 16 from 5:30 pm to 6:30 pm, and a special reserved seat at the banquet. Attendees to the private reception will be able to meet Coach Spurrier and have a photo taken with him. $1500 Sponsor a Round Table – Includes eight executive tickets for a special price. Growing up in Tennessee as the son of a Presbyterian pastor, Spurrier was a multi-sport all-state athlete in high school. A graduate of the University of Florida, he served as the Gators’ starting quarterback for three seasons and won the Heisman Trophy in 1966. He was later inducted into the College Football Hall of fame as a player in 1986. In 1967, Spurrier was a first round pick by the San Francisco 49ers in the NFL draft. He went on to play for the 49ers as a backup quarterback and punter until 1976 when he was traded to the Tampa Bay Buccaneers as the starting quarterback for their inaugural season. Spurrier became the youngest head coach in professional football when he accepted the position with the USFL Tampa Bay Bandits in 1983. In 1987, he began coaching the Duke University Blue Devils. Spurrier went on to lead them to the conference championship in 1989. Spurrier then began his tenure as head coach for his alma mater and led the Florida Gators to unprecedented success. He led the team to six SEC championship and a national championship. In 1996, Spurrier became the first Heisman Trophy winner to coach a Heisman Trophy winner when Florida quarterback Danny Wuerffel won the award. After the 2001 season, Spurrier left Florida to coach the Washington Redskins for two years before returning to college football in 2005 as the head coach for the South Carolina Gamecocks, whom he also led to unprecedented success. In 2015, Spurrier resigned as coach of the Gamecocks and retired as the winningest coach in both Florida and South Carolina history. He has the second most coaching wins in the history of the SEC, and in 2017, was inducted into the College Football Hall of Fame as a coach, one of only four members to be inducted as both a player and a coach. 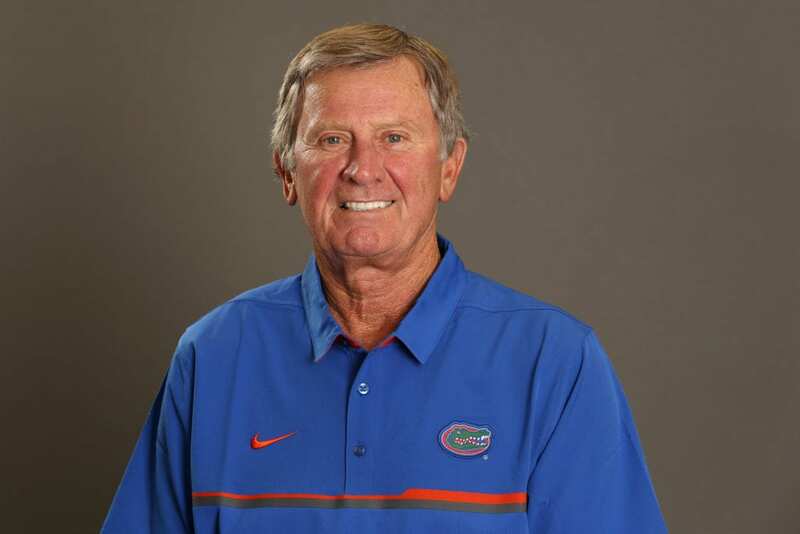 Spurrier now serves as an ambassador and consultant of the University of Florida’s athletic department. Spurrier and his wife Jerri have been married for 51 years. “She’s not only the love of my life and the mother of my children, but my best friend, my roommate, and my adviser,” he says. Together they have four children and more than a dozen grandchildren. He is also author of the book Head Ball Coach: My Life in Football where his faith is a strong recurring topic. For more information, please contact Lauren Youse, director of alumni services and development, at 573.629.3126, or via email at lauren.youse@hlg.edu.